W. W. Norton & Company, 9780393247138, 368pp. The wild horse is so ingrained in the American imagination that even those who have never seen one know what it stands for: fierce independence, unbridled freedom, the bedrock ideals of the nation. From car ads to high school mascots, the wild horse--popularly known as the mustang--is the enduring icon of America. But in modern times it has become entangled in controversy and bureaucracy, and now its future is in question. In Wild Horse Country, New York Times reporter David Philipps traces the rich history of wild horses in America and investigates the shocking dilemma they face in our own time. Here is the grand story of the horse: from its prehistoric debut in North America to its reintroduction by Spanish conquistadors and its spread through the epic battles between native tribes and settlers during the days of the Wild West. Philipps explores how wild horses became so central to America's sense of itself, and he delves into the hold that wild horses have had on the American imagination from the early explorers to the best-selling novels of Zane Grey to Hollywood Westerns. 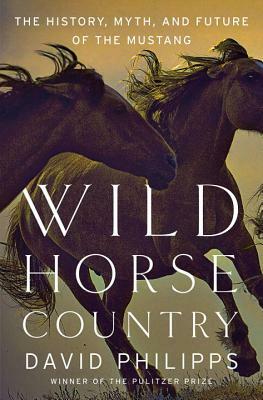 Traveling through remote parts of the American West, Philipps also reveals the wild horse's current crisis, with tens of thousands of horses being held in captivity by the federal government, and free horses caught between the clashing ideals of ranchers, animal rights activists, scientists, and government officials. Wild Horse Country is a powerful blend of history and contemporary reporting that vividly reveals the majesty and plight of an American icon, while pointing a way forward that will preserve this icon for future generations.